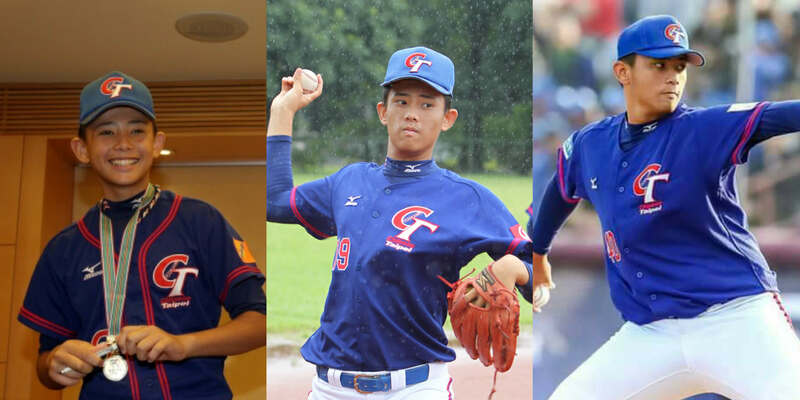 There goes another young pitchers who will not enter the 2018 CPBL Draft. According to several Taiwanese media outlets, the Philadelphia Phillies have signed 19-year-old 林鋅杰 (Lin Hsin-Chieh) for $250,000 USD plus future tuition expenses. At this stage, Lin’s agent has declined to comment on the signing. 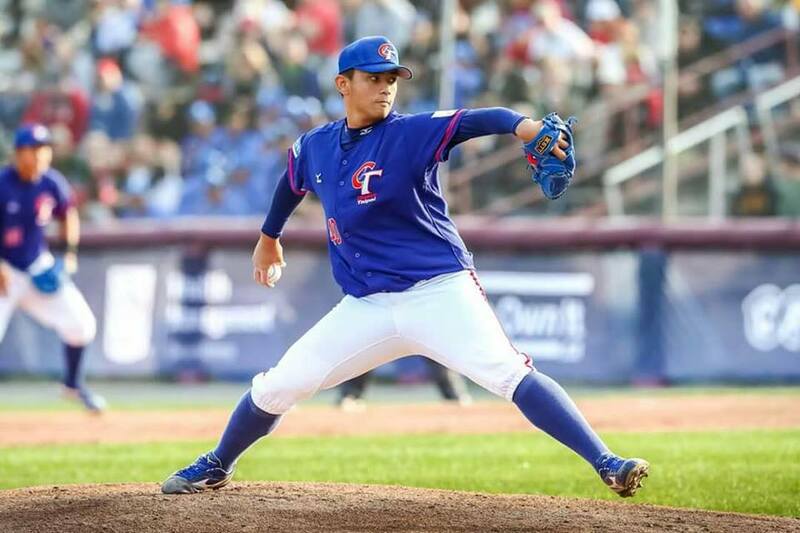 But according to ETtoday, the former Team Taiwan’s U-18 national team pitcher is expected to go to the United States for physical examination in the coming days. Earlier this month, the Kainan University held an open workout session for 林鋅杰 (Lin Hsin-Chieh). 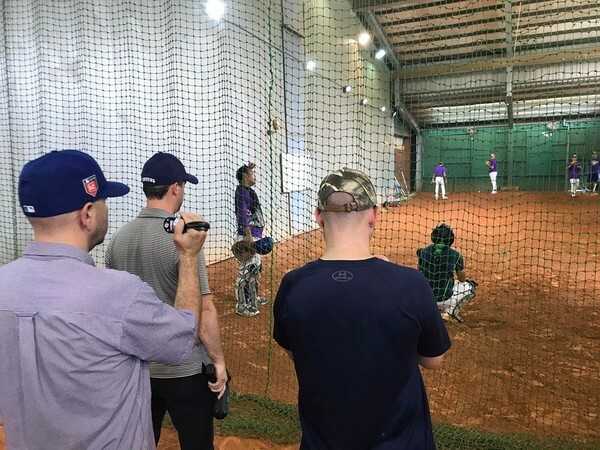 Lin attracts multiple scouts from both the MLB and the CPBL organisations. Lin threw about 40 pitches with his fastball averaging 145kph (90mph), and mixed with plenty of changeup and forkball based on the scouts’ request. Fastball, Slider, Forkball and Changeup. Watching 林鋅杰 (Lin Hsin-Chieh) playing for Taiwan’s U12, U15, U18 national team and now turning pro. With the signing of Lin Hsin-Chieh, he will be the second Taiwanese players that played for the Phillies organisation. With the last player being 林彥峰 (Lin Yen-Feng) back in 2005. Lin Yen-Feng pitched within the Phillies minor league system between (2006 to 2009) and reached Single-A prior being released. He then spent a season pitching in Japan with the NPB’s Chiba Lotte Marines in 2011, and then back to Taiwan and played in the CPBL between 2012 to 2016. $250,000 isn’t much more than Lin could make staying in Taiwan when you factor in how little MLB minor leaguers are payed. The value of the college tuition benefits could be the difference. I’d still guess that Lin is setting his sights high and wants a chance to play at the highest level. How many CPBL umpires are there? With only two games played on any given day, I would imagine that there could be as few as 10 or 12 CPBL major league umpires. I wonder if CPBL scouts take into account CPBL umpire preferences when scouting foreign pitchers. Yeah, $250,000 isn’t the a lot comparing with other young kids that signed with the MLB. I guess he just want to chase the MLB dream. Yeah, if Lin never makes it to the big league, financially speaking, he will be much better off if he stays in Taiwan. He is good enough to pitch in the rotation after maybe 1-2 seasons in the farm league. Umpires wise, I think around 16 to 18. I think they do, factor that a little. or at least they normally brief the starting pitcher of the day, how this umpire is narrower on the inside that kind of stuff.